I recently put in an order for a few things at Chapters. Finally one of them showed up. 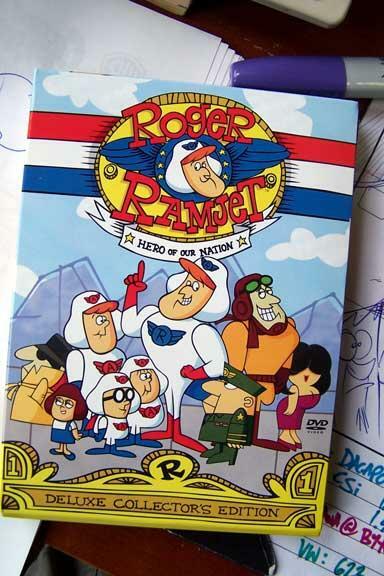 Roger Ramjet's dvd collection is super cool. Sure it's cheesy, but it's a great example of minimilistic cartoons. Some of it is just awful, but it's there, it worked and it's a classic. I think we need more cartoons like this on TV, but they could certainly be upgraded using modern techniques. It's the charm in these cartoons that are missing in cartoons of today. Perhaps I'll model Carrots of the Pirabbean on the same structure? hmmm.. Anyway it's worth getting for sure.. great cartoons.